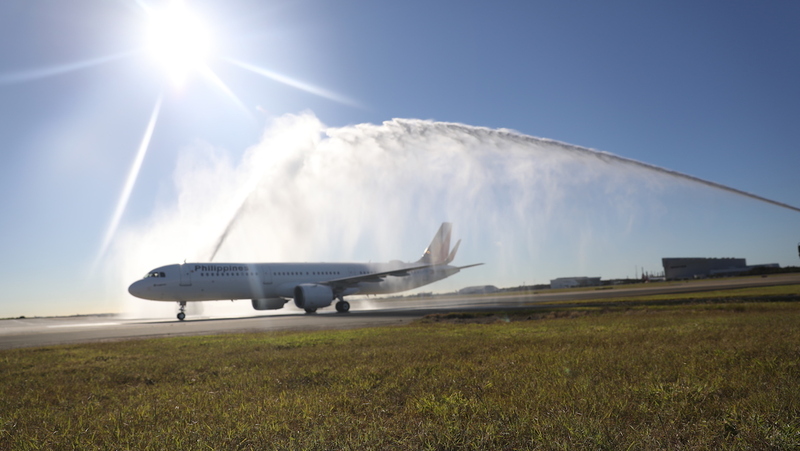 Brisbane has welcomed Australia’s first Airbus A321neo passenger service with the arrival of Philippine Airlines’ inaugural flight with the next-generation narrowbody. 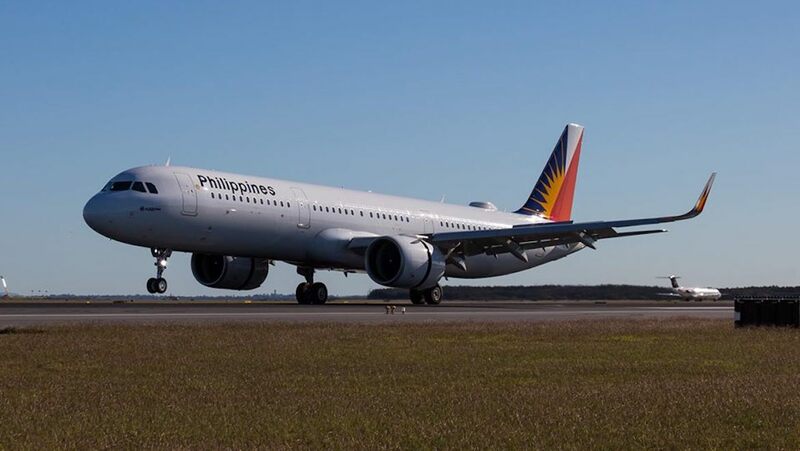 Flight PR221, operated by A321neo RP-C9930, touched down at Brisbane Airport a little after 0900 on Tuesday after the seven and a half hour, 3,125nm journey from Manila’s Ninoy Aquino International Airport. The aircraft received an Airservices Aviation Rescue and Fire Fighting (ARFF) monitor cross as it made its way to Brisbane Airport’s international terminal Gate 80. After about two hours on the ground, RP-C9930 took off as the reciprocal PR222 bound for Manila. 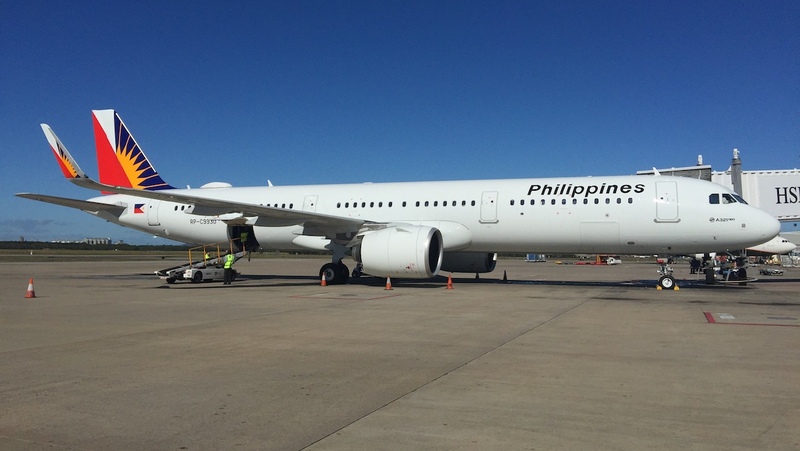 Philippine Airlines will serve Brisbane with the A321neo four times a week. The aircraft has been configured to carry 168 passengers, comprising 12 fully-flat seats in business class in a 2-2 configuration and 156 economy seats at six-abreast. By contrast, the A340-300s the airline previously used to serve Brisbane three times a week had 36 business class and 218 economy class seats for a total of 254. While the consequence of the change of aircraft type is a reduction in capacity of 18 per cent, the extra weekly flight offers more frequency for passengers. Philippine Airlines vice president for corporate communications Jose Perez de Tagle said the arrival of the A321neo represented the right aircraft at the right time for the Brisbane market. “We have a long history with Brisbane. 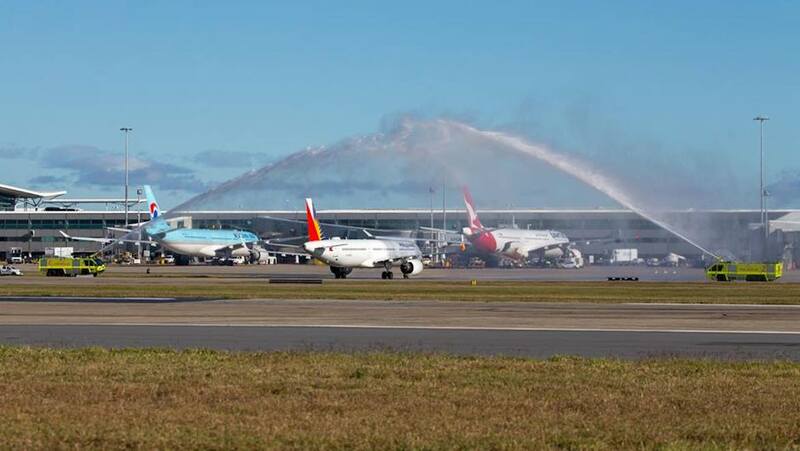 I believe we have been flying here since 1981 but ever since that time we have been flying with very large aircraft, DC-10s, MD-11s and so on,” de Tagle told reporters at Brisbane Airport after the inaugural service touched down on Tuesday. “We’ve always had to pair Brisbane with another city, whether it’s Darwin or Sydney or Melbourne so you never quite had the right combination of range and aircraft to serve just Brisbane, to dedicate one aircraft to this market and the development of Queensland. Brisbane Airport head of aviation business development Jim Parashos said the A321neo represented something of a quantum leap for what was happening to the aviation industry in this region. 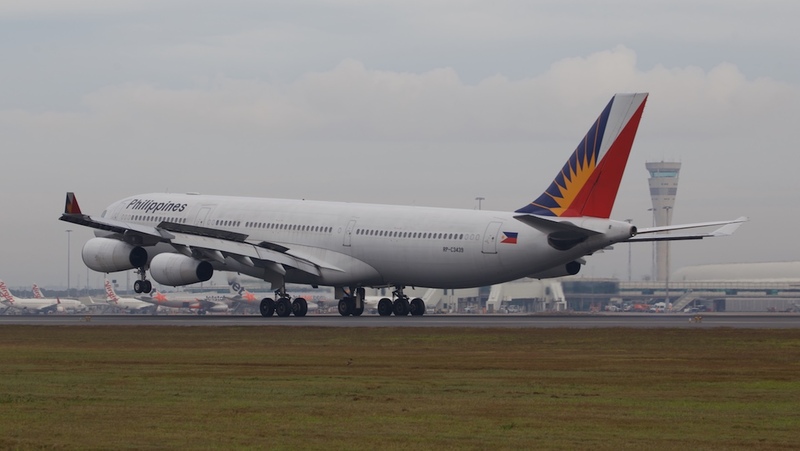 “I think what today is the start of and has us really excited here in Brisbane is the ability of an airline like Philippine Airlines to fly a seven and a half hour sector nonstop into Brisbane,” Parashos said. Philippine Airlines has so far taken delivery of two of the 21 A321neos it has on order. The fleet will be powered by Pratt and Whitney engines. In addition to some short-haul domestic and international flights for crew familiarisation purposes, Philippine Airlines has earmarked Sapporo as the second permanent route for the A321neo, with destinations in India also likely to switch to the larger-capacity narrowbody. The aircraft will also be deployed on some Sydney-Manila flights during off-peak periods of the year, replacing A330-300 widebodies. 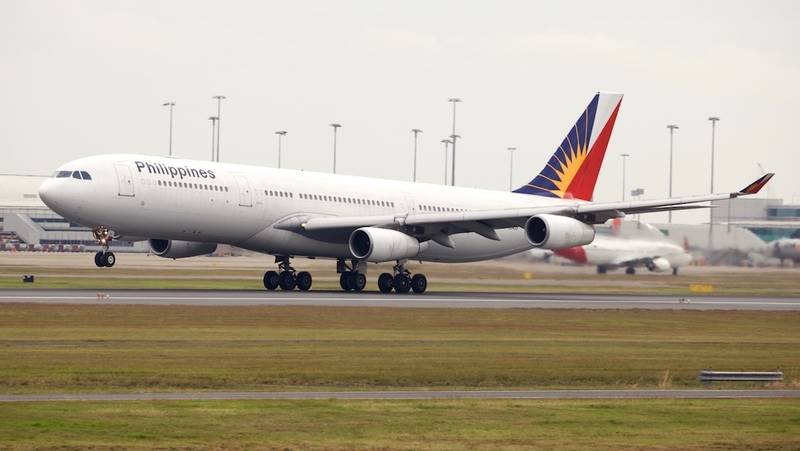 Philippine Airlines vice president for revenue management Dina May Flores said some 60 per cent of passengers on its Brisbane-Manila flights were outbound from Brisbane. Of those, roughly half were travelling to Manila, with the remainder headed to onward destinations in Asia and beyond. “We are seeing traction now from the South East Asian countries,” Flores said. 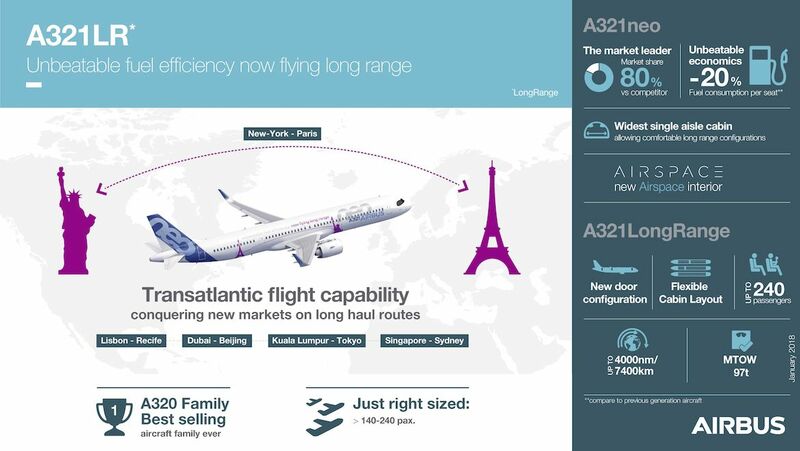 Airbus airline marketing director Geert Lemaire said the conversion course to the A320neo family of aircraft from current A320ceo family pilots involved “half a day of self-study”. “In other words, your pilots can walk in in the morning, take his course and at noon take a A320neo to take off to the destination he has to fly to,” Lemaire said. Philippine Airlines Captain Patrick Roa said the differences for pilots operating the A321neo compared with the A321ceo were very minor and related mainly to the enhancement of some systems. Further, the handling of the A321neo was “very much the same”. “Your approach speeds are lower, which is actually very good,” Captain Roa explained. “You would notice very good performance in reverse, higher optimum altitudes because of the fan thrust is very efficient. “On the auto brake systems, Airbus did some enhancements there that once the auto brake kicks in you don’t really feel much of that jerk. It’s more of a very smooth application of the auto brake system. It’s very efficient and much more comfortable for the passengers. Airbus’s A321neos also features what the manufacturer calls Airbus Cabin Flex (ACF), which allows a customised door configuration depending on the capacity requirements of the airline. At its maximum 240-seat configuration, the A321neo ACF has three sets of standard doors (Doors 1 at the front of the aircraft, Doors 3 aft of the wing and Doors 4 at the rear) as well as two sets of over wing exit doors. This compares with the four sets of standard doors on the current A321ceo/A321neo variants now flying. 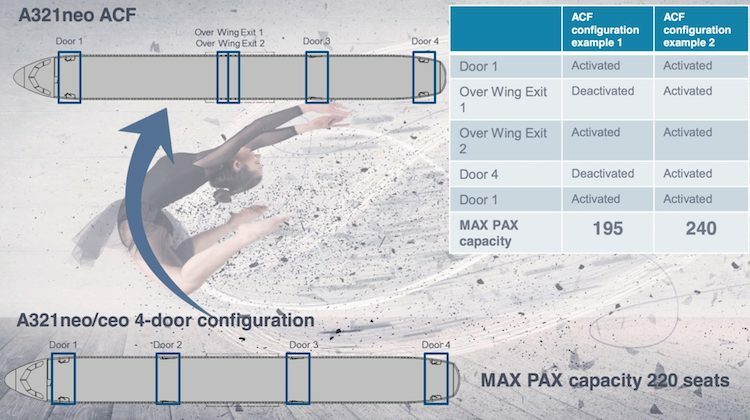 Meanwhile, airline customers are able to order the aircraft with one or both sets of overwing exit doors deactivated, with four sets of standard doors or with Doors 3 deactivated, should they not require the full 240-seat capability of the A321neo ACF. Airbus has said previously the A321neo ACF was available as an option today and would become standard for all A321neos by 2020. Meanwhile, Airbus also has an A321neoLR (or A321LR for short) currently in flight test. Entry-into-service and certification was expected before the end of calendar 2018. The A321LR has a maximum takeoff weight of 97 tonnes – compared with 93.5 tonnes for the A321 – a maximum seating capacity of 244 passengers and a range of up to 4,000nm. In a local context, that puts almost all of mainland Australia potentially within range from numerous cities in Asia such as Manila-Melbourne (3,397nm), Perth-Chennai (3,384nm), Singapore-Sydney (3,396nm) or Auckland-Denpasar (3,641nm). As part of the 100-hour flight test program, the A321LR in March operated a nonstop flight from Mahe in the Seychelles islands to Toulouse, covering a total distance of 4,750nm in 11 hours. In addition to the 16-member flight test crew, the cabin also included 162 “human heat-replicating dummy passengers”, Airbus said on April 11. 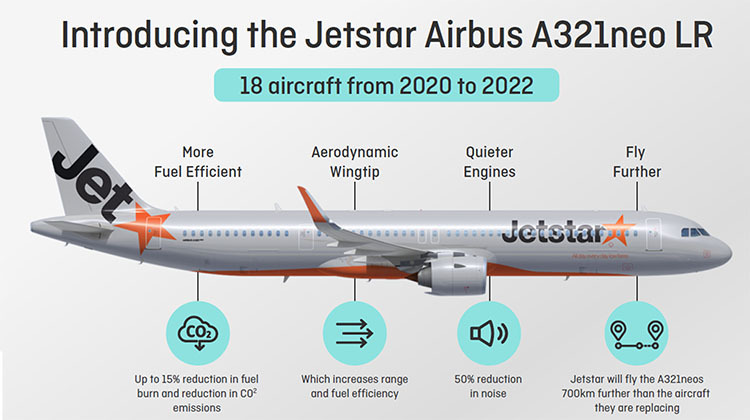 Locally, Qantas announced in February it had ordered 18 A321LRs for its low-cost carrier unit Jetstar, with the arrival of the first aircraft scheduled for 2020. The A321LRs will be the first aircraft to be delivered from the Qantas Group’s longstanding order for 99 A320neo family aircraft, which will be powered by CFM LEAP 1-A engines. Meanwhile, Air New Zealand is due to receive the first of seven A321neo aircraft on order later in 2018. And New Caledonia-based Aircalin has two A320neos on order. VIDEO: Philippine Airlines president Jaime Bautista talks about the airline’s use of the Airbus A321neo for flights to Australia, India and elsewhere on the CAPA – Centre for Aviation website. Nice little aircraft, no doubt will certainly suit a purpose and be economical to run. 3 plus 3 seating is not my favorite for long flights unless I can get an aisle seat on request. I have enjoyed PAL’s Premium Economy on the MNL-SYD-MNL route on quite a few occasions since it was introduced. Pricing is good, service is enhanced so I would like to continue with this however, I have read that the Neo will be used during the low season periods so I will have to choose my days or months carefully in the future. …..I’ve got 33.8% Reduction vs. A340….11.8% over capacity reduction per week with the extra flight added. Seven hours in a narrowbody! Ben Sandilands would be turning in his grave! The trend towards single-aisle for long-haul flights is one of the worst developments I’ve seen in 30+ years of business travel. I travel monthly from Narita to Manila on PAL and am always careful to book the A330 and not the A32x PAL also uses on the route, because even that 4-hour short-haul is more than I could stand in a narrow-body. The airlines may be concerned about the 33.8% reduction in passenger capacity but passengers are more likely to be concerned about the 66%+ reduction in toilets: the long walk from forward Economy to the rear toilets is probably something you wouldn’t want to try more than once in a flight. PAL should drop single-aisles from long-hauls for the same reason it refitted the Ang-era high-density A330’s: passengers don’t like narrow-bodies for long-haul and will look elsewhere.